If you are searching for skilled manpower for the vacant jobs in your company, then come directly to us for getting the best services. At Ascent HR Management, we are engaged in providing reliable manpower recruitment services to the organizations across Durgapur (West Bengal, India). Owing to our extensive database of various potential aspirants, we are capable of assisting different types of firms in getting the perfect candidate for a particular position. Moreover, we ensure that the qualification of the candidate suits the nature of the job. 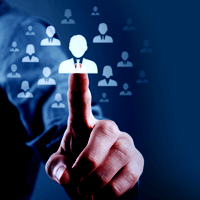 Therefore, feel free to contact us for getting prompt and excellent manpower recruitment services.